THE FT DX1200 HF/50MHz Transceiver. Continuing the Yaesu “FT DX” Legacy of Excellence established decades ago, the FT DX 1200 is designed for the casual operator as well competitive operating situations, whether you primarily operate in Contests, chase DX or enjoy Field operating. The High Frequency Design Technology it has inherited ensures “Best in Class Performance”. 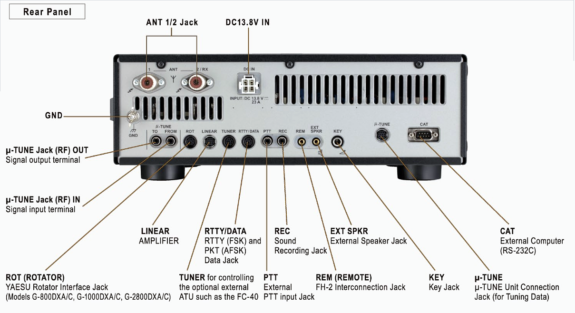 Similar to the high-end “YAESU FT DX” series, it uses 32-bit high speed floating point DSP for renowned proven performance. A built-in 4.3-in TFT wide full color High Resolution Display with loads of information provides superior operability and visibility for the FT DX1200 user. A Spectrum Scope located just below the LCD display gives the operator all the information needed to place them at the right place on the band with the right receiver set-up to have a satisfying experience with a casual QSO chat or while digging out a rare desired weak signal contact. Yaesu FT DX1200 .160 through 6 Meters – SSB/CW/FM/AM/Digital. With efficient dimensions of 14.4″ x 4.5″ x 12.3″ (W x H x D) and weighing in at only 20.9 pounds, the FT DX 1200 is a solidly packed transceiver ready to give very high performance on all Amateur Radio bands from 160 to 6 meters. • General Coverage Reception from 30 kHz to 56 MHz . The RF Final Amplifier produces a clean 100 watt (some modes less) transmit signal. High Speed Automatic Antenna Tuner included. The antenna tuner uses LC switching. It has a large capacity 100 channel memory; the tuning data is automatically memorized to reduce tuning time when changing frequency. Smooth Main Tuning Knob Feel. The Main Tuning Knob, made from marchined aluminum parts, has the solid feeling of a largre flyweheel, while being nimble and smooth in operation. The FT DX 1200 can be connected to a PC with a USB cable through the use of an optional SCU-17 Interfeace Unit. This unit will support CAT, USB Audio In/Out, TX control (PTT, Key, Shift), and firmware updates. External control (CAT) is possible using Serial Port or the optional SCU-17 USB Interface Unit. This feature means the FT DX 1200 can be remotely controlled from a distant location! The FT DX 1200 presents a wide view angle, high contrast LCD 4.3 inch TFT impressive full color display that provides a convenient view of the radio’s working functions. Superior operability is realized with this convenient display. Even with the many FT DX 1200 features and functions, the TFT display makes operation of the radio easy and comfortable. • Separate VFO-A, VFO-B Transmit and Receive Frequency Display. • Bandwidth of the spectrum scope: 20kHz, 50kHz, 100kHz, 200kHz, 500kHz, or 1MHz. Clarifier, Microphone Gain, Speech Processor, SHIFT, WIDTH, KEYER SPEED and CONTOUR. The FT DX 1200 has a standard automatic sweeping high speed spectrum scope in line with dial operations. The spectrum scope function that allows for an instant view of the signals, their strengths and distribution within a band is supplied as standard. The spectrum scope sweep function has two modes available: the normal mode, where the band is swept once when the SELECT button is pressed, and the AUTO mode where the band is automatically swept at preset intervals. No receive audio is generated during sweeping, but as sweeping is done at an extremely high speed this is a brief instant of approximately 300 msec. If the operator quickly operates the main dial to make a big frequency change in AUTO mode, an automatic sweep is performed and the display is refreshed. This enables frequency tuning while checking the spectrum in real time. The moment tuning is halted the receive frequency audio is resumed; as no sweeping is performed during slow frequency changes to tune in to another station, there is no interruption to the receive audio. Operation therefore feels natural and is without stress. 2. TX and RX markers are displayed in the spectrum scope, enabling the user to confirm the relationship between the receive and transmit frequencies at a glance. This is particularly useful in the case of split operation. Top Performing Receiver RF Front End. 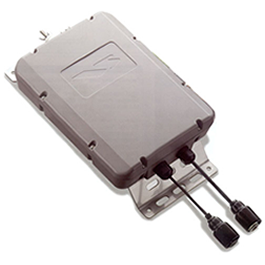 The receiver front end is exposed to strong signals directly from the antenna. Yaesu engineers carefully selected and tested active elements like the RF amplifier, but also passive circuit components and coils, so that no spurious or unwanted signals are created. 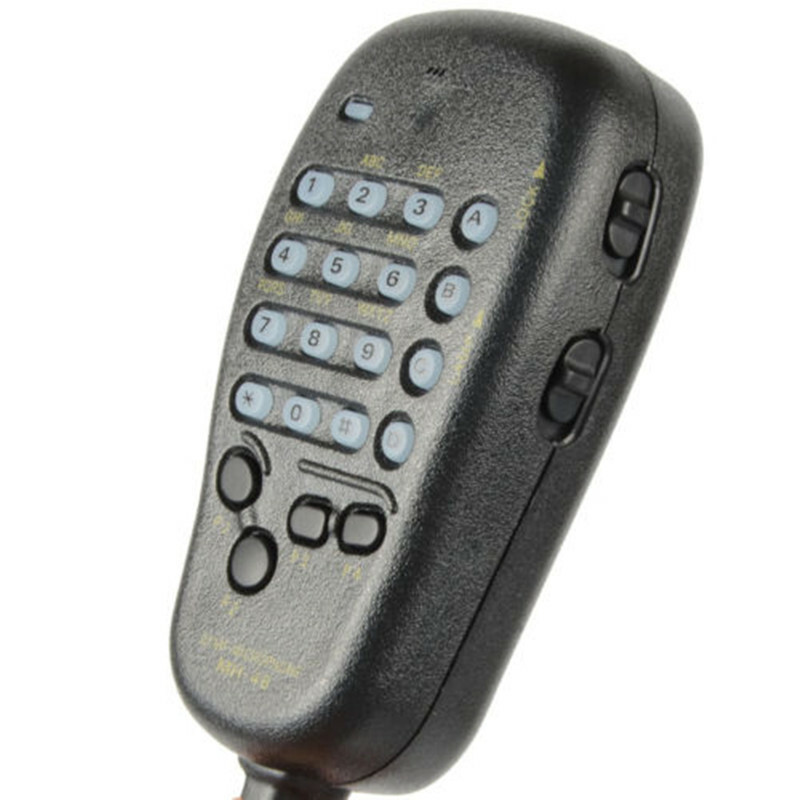 By pressing the ATT key on the front panel, the operator picks from four selectable stages of attenuation to attenuate interfering strong signals. The effect of strong out of band interfering signals on the RF amplifier is further reduced by significant attenuation through 8 band pass filters in the FT DX 1200 . Effective QRM rejection is achieved from the FT DX 1200 IF DSP. The 32-bit high speed floating decimal point DSP, TMS320C6727B (maximum 2800 MIPS/ 2100 MFLOPS) made by Texas Instruments, is used for the IF section of the FT DX 3000. The signal is processed with the high speed 300 MHz clock frequency. • Proven IF WIDTH and IF SHIFT functions provide great QRM rejection performance. The IF width function can make the pass band narrower with one-touch. This function is effective in a pile-up or contest, when the undesired signals are located just above and below the target signal. • Digital Noise Reduction (DNR) by DSP. This high Q circuit has steep attenuation characteristics of 70dB or more. Effective removal of a strong beat signal is obtained. The damping characteristics can be switched to wide or narrow band width, and the attenuation level may be adjusted in the Setting Mode Menu. Interfering signals may be attenuated, while minimizing the impact on the received signal. In the CW mode, the APF (Audio Peak Filter) function has an audio peak at the signal frequency; this improves the S/N and increases the readability of the CW signal. The APF peak frequency can be finely aligned. Roofing filters of 3 kHz, 6 kHz and 15 kHz filters are fitted before the 40.455 MHz 1st IF. These filters reduce the later burden on the receiver mixer and improves the adjacent multi signal characteristics. Very Low Noise Floor – Terrific Signal to Noise Ratio. In the FT DX 1200, the combination of it’s high stability and high accuracy 40 MHz TCXO (± 0.5ppm, -10 °C ~ +60 °C), and it’s DDS create the fundamental frequency of this radio, and is locked to the PLL-IC and VCO directly. 3-step IPO settings permit the operator to select the most appropriate gain for best signal reception. This variety of selections provides superior receiver performance and the best possible communications with changing band conditions. The IPO (Intercept Point Optimization) is selected by a control switch located on the front panel. High Quality Audio With Punch. • Microphone Amplifier that includes Parametric Equalizer. The modulation circuit of the FT DX 1200 utilizes the digital variation operational modulation type, which creates ideal high quality transmission audio. 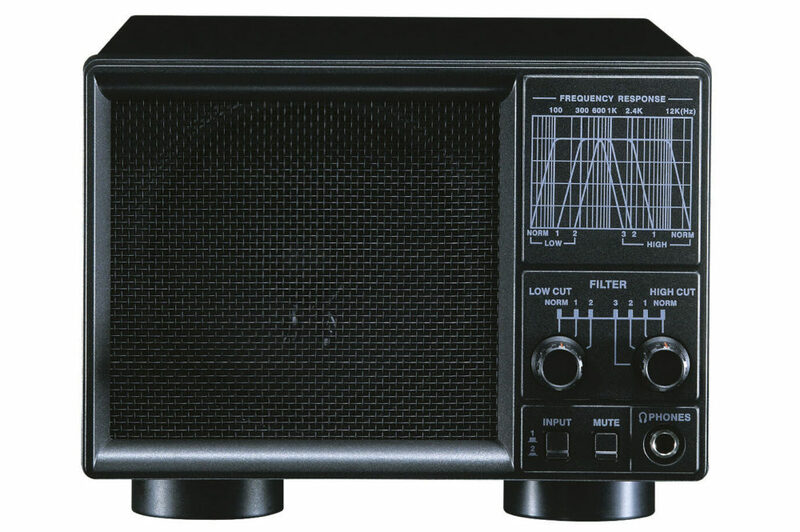 This radio has a parametric equalizer that makes possible versatile adjustment of the TX audio quality by aligning the TX band audio spectrum. The parametric equalizer can alter the Low, Mid and High part of the audio separately. • IF DSP Speech Processor – DX’er and Contester Proven. The TX CW side tone pitch frequency can be adjusted in the MENU. The setting range is 300 Hz to 1050 Hz. This tone pitch is used as the reference in transmission. This means that the point, at which the TX pitch is equal to the RX pitch, becomes the zero-in point. In addition, the FT DX 1200 has a CW tuning display feature. By using this function, as the pitch of the sound that is heard when receiving the CW signal becomes closer to the programmed pitch, the lighted mark moves closer to the center of the display. When the center mark light turns RED, the signal is at the zero-in point. In the CW mode, the included APF (Audio Peak Filter) function has an audio peak at the signal frequency; this improves the S/N and increases the readability of the CW signal. APF bands can be selected from three steps according to preference, whereas peak frequencies can be fine-tuned with the APF switch located on the front panel. Yaesu FT DX1200 .Other CW Features. • Dial step setting (for the CW mode only). • CW “VOX” Delay is adjustable. • CW Mode reversal (USB or LSB). • CW Keying available during SSB operation. • Separate KEY Jacks on the front and rear panels. • Four-channel Message Memory (50 characters each); five memories available with FH-2 Keypad (optional). • Automatic “Beacon” keyer mode. The u-Tuning Kit that was developed for the FT DX 9000, is optionally available for use with the FT DX 1200. No other Amateur Radio transceiver manufacturer offers a comparable device that may improve your DXing performance in some challenging operating situations. A large diameter with an adjustable ferrite magnetic material (Ni-Zn ferrite) core, is combined, with a high resolution and high torque stepping motor to automatically find the resonance point. By inserting these tuning units prior to the RF front end of the receiver, the IP3 points are improved by around 4 dB. Three individual tuning units are available covering frequencies from 1.8 MHz through 14 MHz. Many FT 950, FT 2000/D, FT DX 3000, FT DX 5000 and FT DX 9000 Yaesu customers have used them and found them especially effective for use on the Lower Bands. We are Premier Dealers For Icom, Kenwood & Yaesu. hamradio-shop is my favourite HAM store! 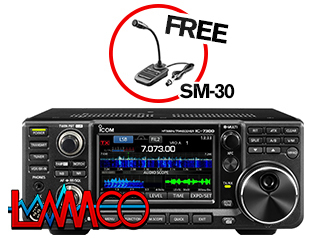 Yaesu FT DX1200 Amateur Radio Shops HAM Radio Dealer Supplier Retailer LAMCO New/Second Hand Twelve Months Warranty. I have had the ftdx-1200 for a few weeks now. the radio has good dsp. and notch filtering also good and filters. i have had great audio reports time after time. the radio works a great with contour, width, shift. for pulling the weak signals in… internal atu not to bad. with my haf size g5rv, i can tune 40.20.12.10 meters. it a great radio to use and a nice looking radio. the incomming audio is great, it sounds good..